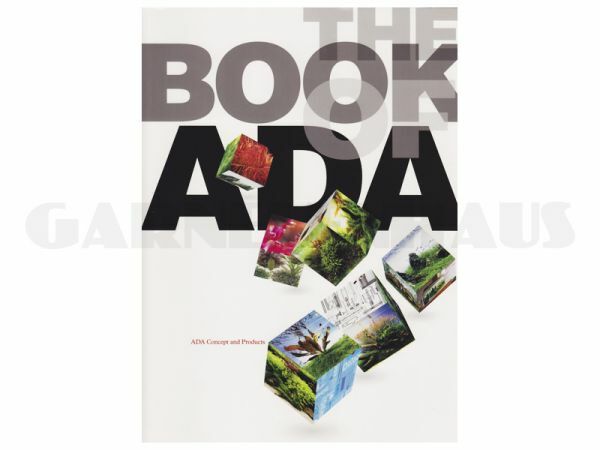 With the German catalogue of 2010 with over 200 pages, The Book of ADA 2014, you will get a comprehensive, informative overview over the concept of all products by ADA, Do!aqua and Wabi-kusa. The Book of ADA has all-color illustrations, it is in German, and - as always - the photos are truly unique. Several layouting styles are explained, and inspirational photos from nature are shown. A step-by-step instruction for setting up a 60 liter layout, information regarding the function and the exact use of the products, hints and tips regarding planting, trimming and attaching mosses are part of this catalog, as well as detailed information regarding the light yield of the ADA lamps, the function of different filter media, the application of CO2 systems, the use of the different liquid and undergravel fertilizers, information about algae prevention and much more. essenziell für Aquarianer mit Vorliebe für high-end Produkte. Bester Katalog da auch Layouts erklärt werden ala ADA.